We’ve lost count of the number of animal shoots filmed here. 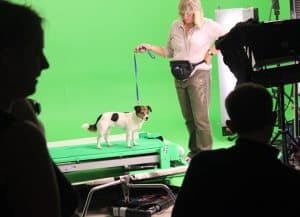 Most shoots film cats and dogs as was the case recently. The oddest animal we have filmed was a trained seagull. If a cat can be trained then anything can be trained. Find our more about filming with animals here. It must be the season but a lot of fashion content shoots have been through recently. Often we supply just the studio space. Increasingly we are asked whether we can supply a DOP, Gaffers, Camera, Lights and more. We are well set up to cater for fashion shoots and have even been featured in Wonderland Magazine!. Can we help you? Whether you’re a seasoned pro or just starting out we hope we can offer you what you need when it comes to filming.